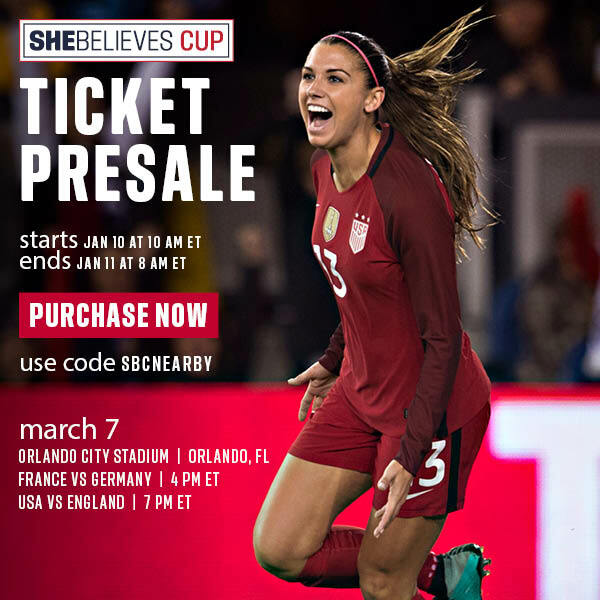 SheBelieves Cup 2018 Presale Tickets are available for the 2018 SheBelieves Cup. Please Note: Tickets for the game in Orlando will be mobile only. No paper, PDF or print-at-home tickets will be issued.